Once the painter is finished with the job, all of the printers and scanners will be back up and running. 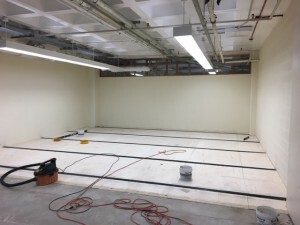 The construction of the Humanities Institute on the 4th floor South East side has begun. You will notice temporary walls of plastic to help contain the dust and to keep patrons from wandering into a construction zone. All of our collections will not be impacted by the construction. All collections on the 4th floor are accessible. It will be a little noisy during construction, so please direct patrons looking for a quiet floor to level 2. Starting on Monday, June 13, Donnegan Systems will be on site to start the installation of the new manual mobile stacks. Right after the completion of the manual mobile stacks, Donnegan Systems will then shift their attention to upgrading the existing mobile stacks to state of the art electronic controls for each stack. While this work is being done, level A collections will be closed. If you or a patron needs something from level A, please use DD/ILL. Since 1978, the Homer Babbidge Library has served as an intellectual, learning, cultural, creative and social hub for the UConn community. 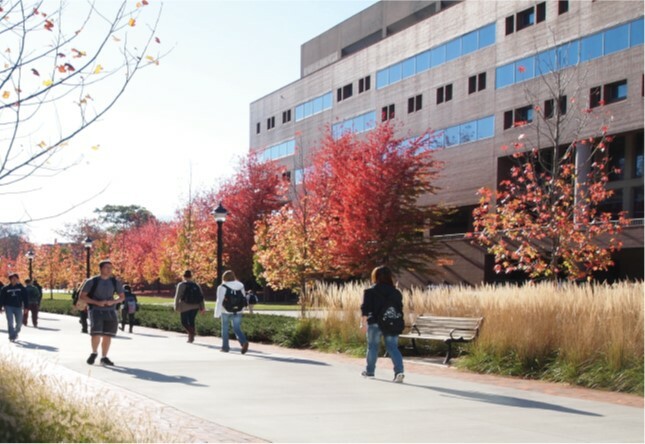 Our unique role on campus comes from both our physical location and our mission to overcome boundaries and serve all disciplines. As UConn continues to look towards its future, we have made a commitment to adapting the space within the brick exterior of the Babbidge Library into a center of innovation, knowledge and University growth and development to further the University’s mission of excellence in research, education, service and engagement. Changes have started this June so stay tuned to this blog as well as Facebook and Twitter for updates. We’ll start out with good news – the carpeting project is primarily complete! All places where carpeting was to be put in has been done. There are several places where “punch list” items will need to be addressed, including the sides of the platforms on Level 1 and some other trouble areas that they will work on throughout the semester. A good number of the staff in the administrative offices have moved back and will continue next week. 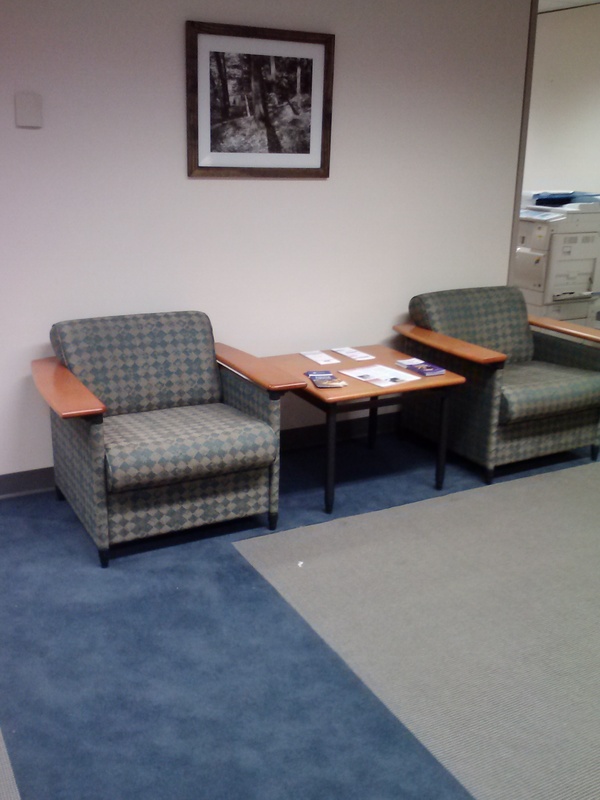 The new carpeting in the Administrative Office Suites. And for the bad news. While the carpeting is complete, the bathrooms are not. The basement bathrooms will begin demo next week. This will take 4-5 days and unfortunately will be loud. We apologize in advance for the lack of serenity that you can typically find here in Babbidge, but we need to keep the project moving along. During the re-tiling, they will also be fixing some remaining issues in the levels 1 and 2 bathrooms. The work means that at some point each set of bathrooms will be closed for a day or two. The past two weeks have been a bit frustrating on the flooring project as we found some items outside the scope of the project that needed to be fixed before the project could continue. But things are looking up now. The bathrooms should see a team of plumbers on site Monday (today) fixing the old floor drains. They should be finished with level 3 and 4 by Weds. Which means the tile installers will be able to finish the water proofing and the tiling. The carpet guys had hit something that turned out to be a major hurtle for them. The carpet is very difficult to pull up, making the preparation for the carpet installation much longer than anyone anticipated. 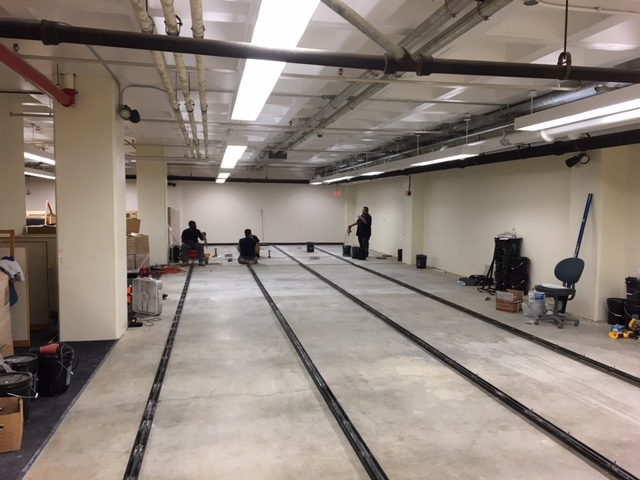 The good news is they started laying carpet on Friday and they worked all day yesterday (Saturday); so they have made great progress in the past two days. The third floor still remains closed to patrons but open to library staff to retrieve items for our patrons. We are watching the schedule very closely and I will update you more often now that we are seeing the progress in the different parts of this installation. With a new seating capacity of 3,091, the Homer Babbidge Library stands ready to welcome the hordes of students looking to hunker down and make that last ditch effort to study. Starting Friday, 12/7, Homer will be open 24 hours until the following Sunday, 12/16, when we close our doors at 6:00 PM. I think the students will be pleased with the choices they have for their study environments. They have two floors of Quiet Study Space, level 4 and level A. Students also have a wide array of furniture to choose from as well; everything from traditional library tables and study carrels to 6 person diner booths and tall cafe tables. Most of which have been fitted with power. So good luck UConn, may the Finals Gods be kind to you and remember if you need anything or have a question while you are in the Homer, please ask a library staff member. 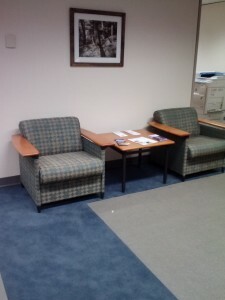 So we ripped down the old stacks that once held the current journals and we installed some new furniture in its place. Now this isn’t your run of the mill, tired old furniture. We installed furniture that features cutting edge design and up to date technology to support today’s students. So the next time you are on level 3 on the North East side, check out the serpentine tables, the diner booths and the cafe tables. All of which hold multiple power outlets to power today’s student’s devices. Post Script: If you are looking for the current journal titles they are in with the bound journals, shelved alphabetically by journal title.